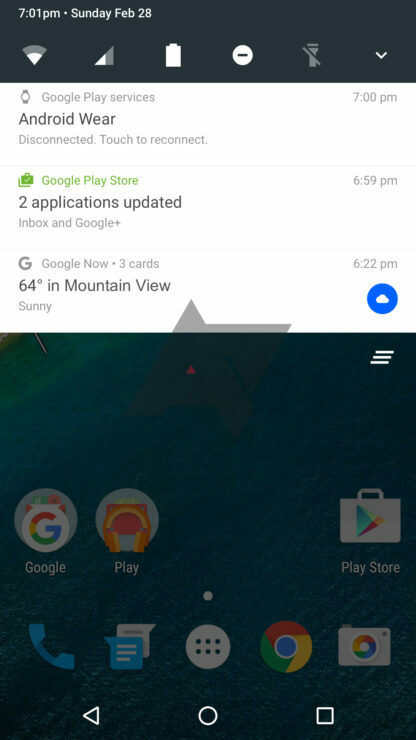 Google gave a massive facelift to its mobile operating system with Material Design. 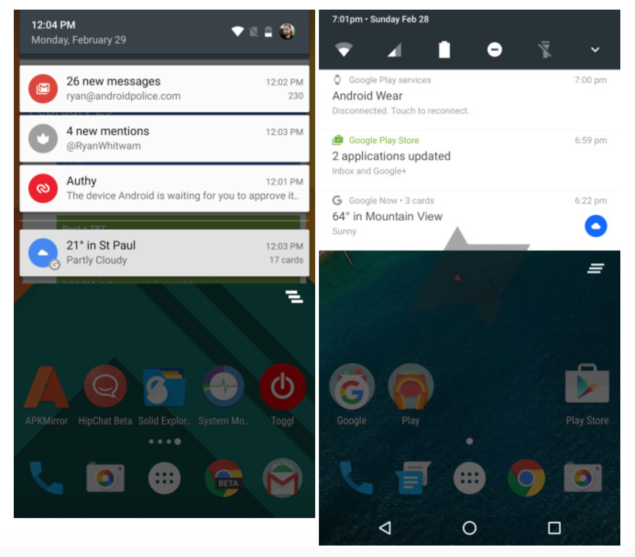 With a goal toward bringing a more consistent looking OS, the company is seemingly taking things even further with Android N. The upcoming version of Android is expected to be showcased at the I/O 2016 and it looks like Google is focusing a lot on visual enhancements. As we get close to the unveiling, there will be more details coming out, but there are plenty of them already available. In this post we will talk about expected features and what we already know about the upcoming Android 7.0 N.
From the details that have leaked in the last one month, we can see Google focusing on an improved user experience. 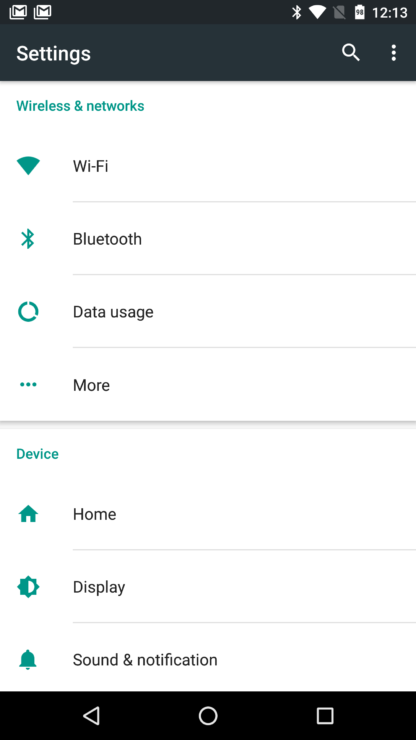 From overhauled system settings to introduction of Quick Settings in the Notification Shade, users will be pleased with several of the new visual enhancements that Google has up its sleeves for upcoming version of the Android OS. One of these improvements includes hamburger menu in the system settings. 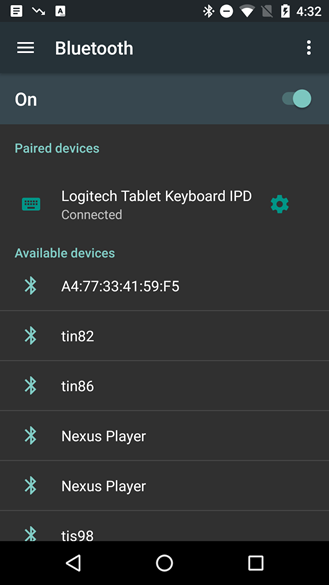 Earlier screenshots from Android Support Library v23.2 posted on the Android Developer’s Blog revealed a hamburger menu in the Bluetooth settings section. The hamburger button in the settings will open the side drawer, listing all the settings sections. This way users won’t have to go back and forth between the main setting screen to choose, as they can simply open the drawer to move to a new section. The two screenshots shared above show an identical layout, except for a dark background in one of the images. Reports few months back had claimed that a system-wide Day/Night theme could be introduced with Marshmallow’s successor. 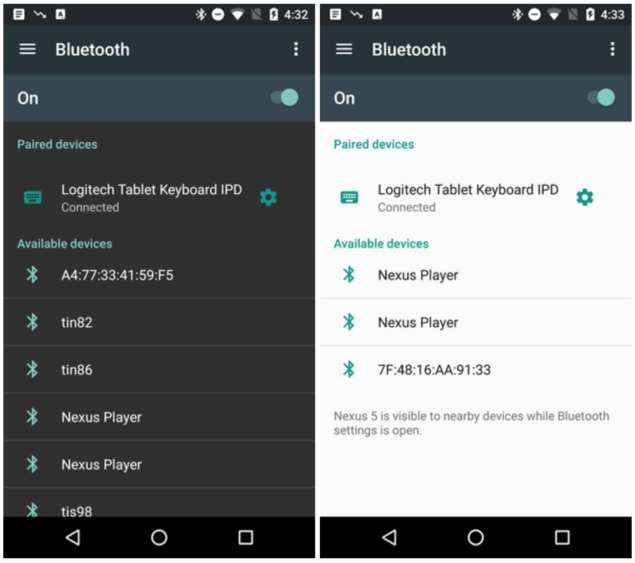 Dark system theme had made a show in the first Developer Preview of Android Marshmallow, however, it disappeared in DP2. 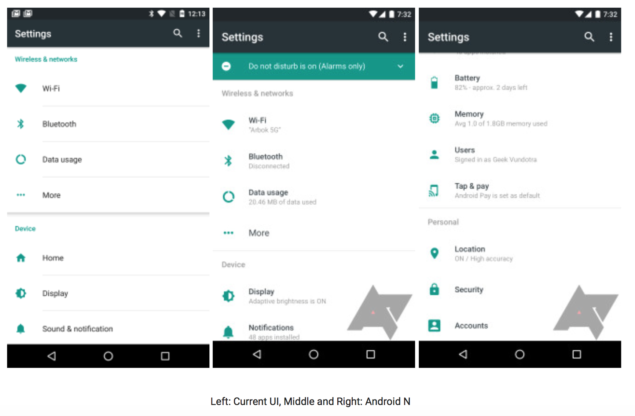 These recent screenshots give a hope that a system-wide dark theme may indeed make a comeback with Android N. The current ability to turn on Do Not Disturb mode at a certain time could be tied to a system-wide night mode. 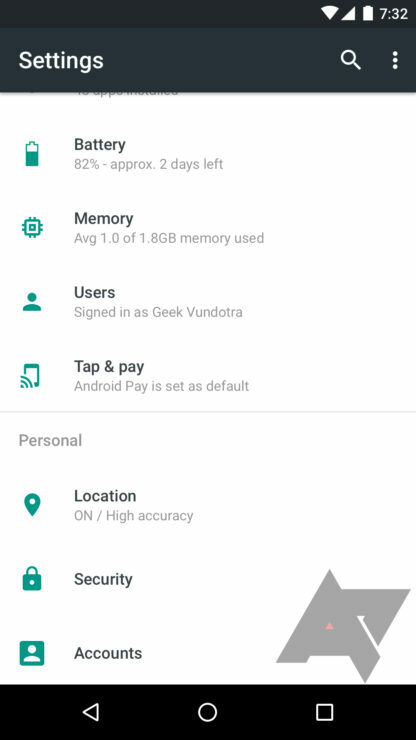 Folks at Android Police have been sharing several details, alongside mockups of the planned features and visual changes. The latest mockups from the publication reveal a refreshed Settings app that will be part of the next update. 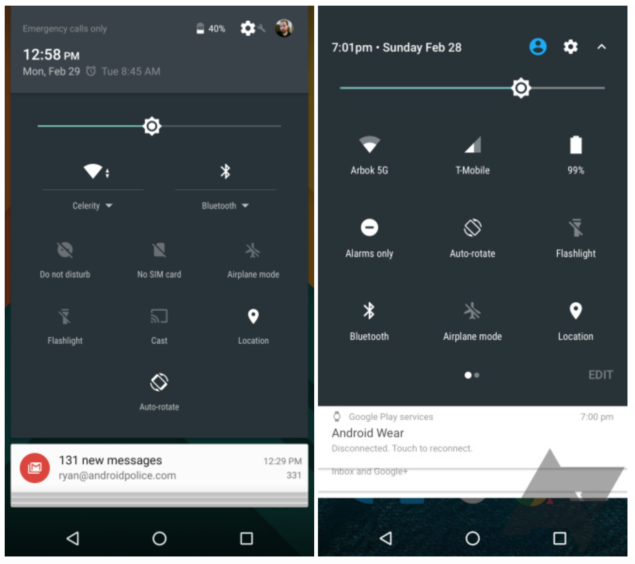 Calling the Hamburger menu “just the tip of the iceberg,” the latest screenshots reveal a redesigned Settings menu that now has a “do not disturb” status and the ability to switch modes at the very top. The new Settings mockup hints at a sparser visual design with fewer elements on the screen. The lines no longer divide individual settings, but only are visible between each section. At the top-level of the Settings app, users will be able to easily switch modes from a drop down menu. 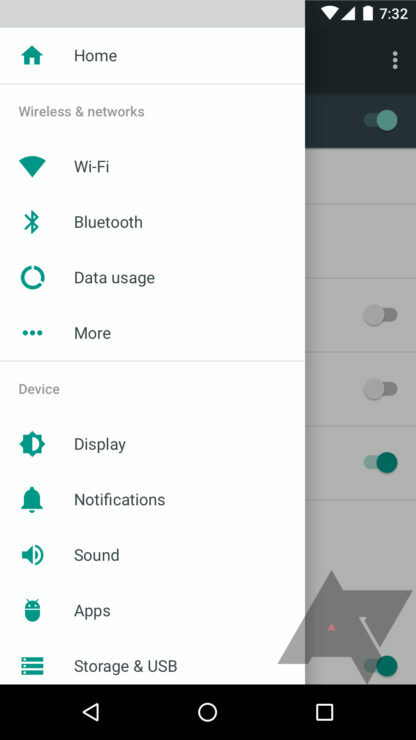 In the current Android version, DND settings are placed in the quick settings panel. 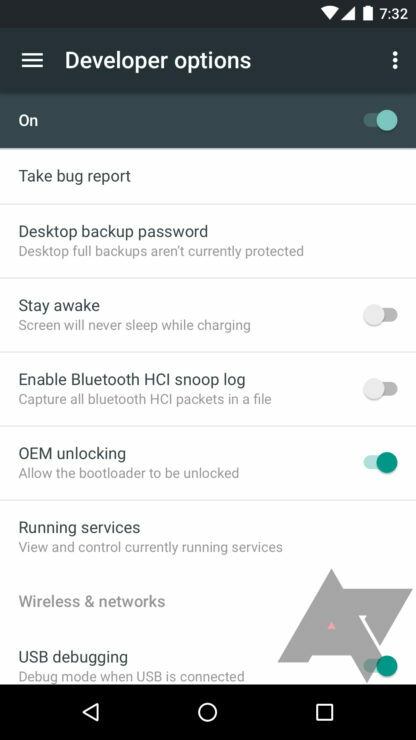 The upcoming Android’s Notification shade will also house this functionality. The Settings app will now also display status of different settings in the top-level list. 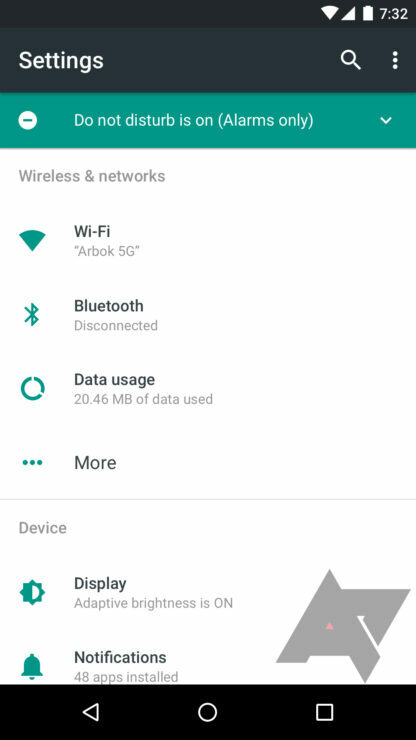 For example, WiFi shows the connected network, Battery shows the current percentage and life estimation, and Data Usage shows the amount of used data. Again, the hamburger menu is only visible when the user is at least a level deep in the Settings app. When users are in a particular setting, hamburger button will allow them to switch to different areas of the settings. 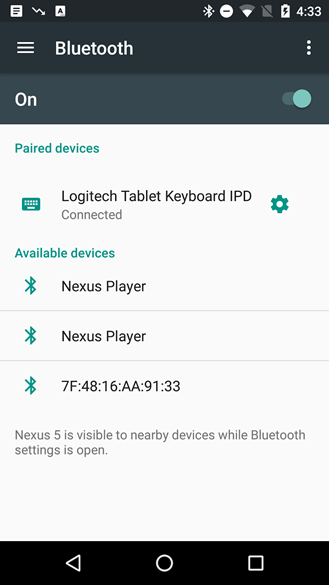 This list contains the items from the top-level settings list, which are a little modified when compared to Android Marshmallow. 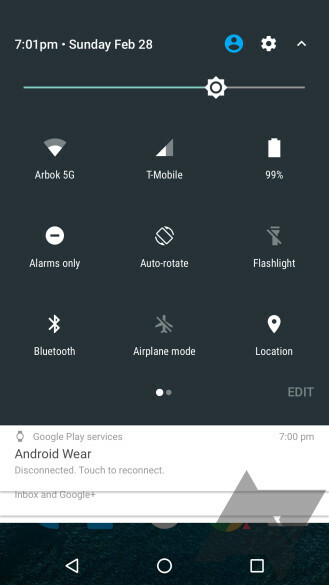 Android 5.0 Lollipop overhauled the operating system’s Notification Shade and Quick Settings. The upcoming version of Android is reportedly shaking things up again. Notifications will now include more information and also span the full width of the screen. 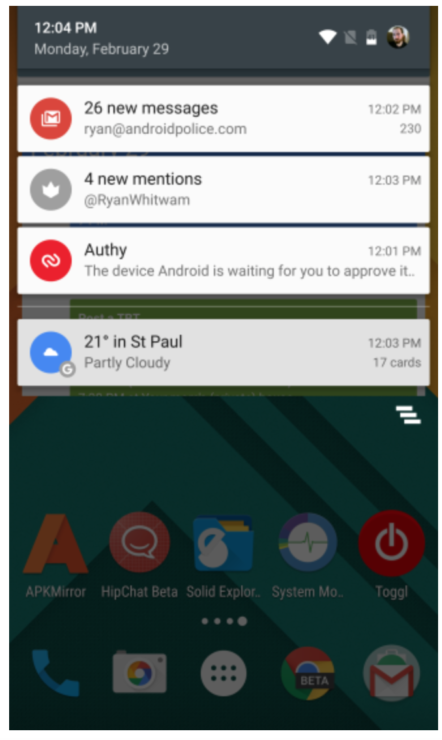 App icons are way smaller than the current Android version; the lines between the notifications are also less visible, and there is an additional line of text sharing which app produced the particular notification. The best part? 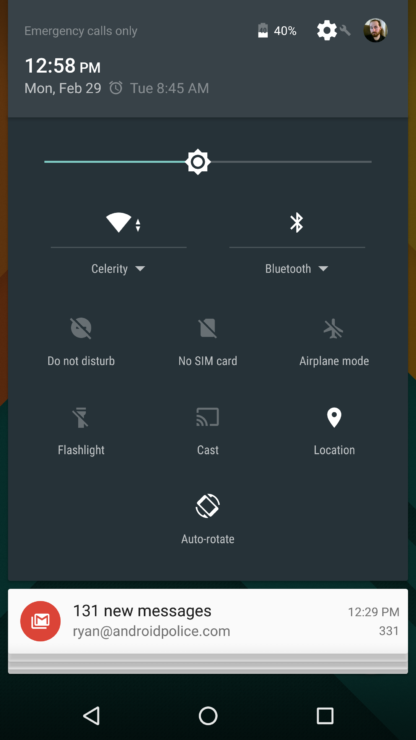 Quick Settings are now easily accessible with the Notification Shade, similar to LG, Sony and Samsung skins. While the most important toggles are available from the Notification Shade, you can pull down to access all the Quick Settings. Rumors have also claimed that Google may be working on a Hangouts replacement. The new messaging app is expected to be based on the Rich Communications Services (RCS) platform. RCS allows for voice, text, video chat, file sharing, and instant messaging. Apart from a new messaging app, several publications claim that we will no longer see the popular Android app drawer. 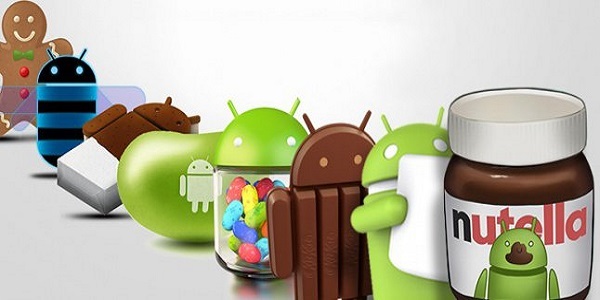 The absence of the signature Android app drawer is among the most repeated rumors. There hasn’t been any confirmation on Google removing app drawer from its upcoming mobile OS, however, many agree that this feature will be missing. One reason is a Google Maps promotional video shared by Google, which had a new home screen layout and was missing the app drawer. The video caused a lot of fury among Android fans who thought Android was becoming iOS-ish. Google later denied saying that this was an inaccurate version of the Android N user interface. Multitasking is also expected to be one of the focus areas as window management is a core OS feature. After Apple’s launch of iPad Pro, there were several reports indicating that the new Android version will have an increased focus on tablets, and a better window management comes naturally with a software focusing on larger screens. With iOS introducing support for split-screen multitasking and Google’s Andrew Bowers saying, “Split screen is in the works,” there doesn’t seem to be any doubt that we will see a finalized version of split screen multitasking baked into the upcoming update. Unlike how slowly and unpredictably Android reaches to consumer devices and the uncertainty that looms around it after its public release, the initial release timeline has always been rather predictable. Android N is expected to be announced at Google I/O, which starts on May 18 this summer. Android Nori might be healthy, but Nutella seems to be the public choice. Regardless of what name the next release of Android OS gets, don’t forget to share with us your thoughts about the visual changes that have appeared so far. Note: Keep in mind, the details shared in this post are based on an early version of Android N. A lot will change until the OS is showcased at the I/O and further until the final build, which will be released later in the year. Android N is Now Android Nougat – Sorry, Nutella Fans!